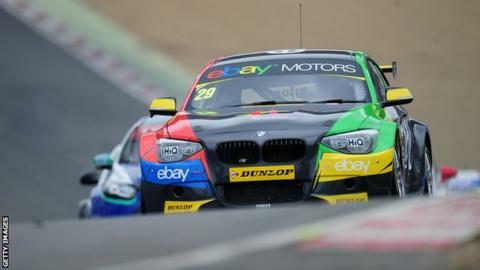 Colin Turkington clinched a race victory in Sunday's British Touring Car Championship round at Thruxton. The WSR BMW driver from Portadown won the third and final race, coming in over three seconds ahead of Mat Jackson with Fabrizio Giovanardi in third. Turkington was eighth in the opener at the English circuit before finishing sixth in race two. The 2009 champion lies third in the series standings, behind leader Andrew Jordan and Gordon Shedden. Jordan won the first race in round three of the BTCC championship while Shedden clinched victory in the second race. Turkington set the platform for his win with an excellent start, moving from the third row up to second place. He surged into the lead and stayed in front despite two restarts following crashes. Turkington, fifth in last year's championship, made a good start to the season with a victory in the opening round at Brands Hatch in March.